Landtax | What is needed so that a livery business qualifies for Business Property Relief? What is needed so that a livery business qualifies for Business Property Relief? 01 Aug What is needed so that a livery business qualifies for Business Property Relief? The recent case of Vigne v HMRC provides a useful indication for livery businesses of when Inheritance Tax Business Property Relief might be available, although as the Tribunal states, this is dependent upon the facts of the individual case. Grass livery – where a horse has a right to reside in a field, but is not provided with a stable. DIY livery- where the horse, in addition to having the right to reside in a field, is additionally provided with a stable with day to day care wholly provided by the horse’s owner. Part livery – where day-to-day care for the horse is shared between the livery operator and the horse owner. Full livery – where the day-to-day care of the horse and all its associated needs are supplied by the livery operator. The provision of worming products, including administering them where and when necessary (if an owner was unable and/or unwilling so to do), on a quarterly basis. The provision of hay fed to the horses during the winter months when the grass might not provide a sufficient food source. A hay crop was grown on part of the land. The removal of horse manure from the fields in which the horses spent most of their time. 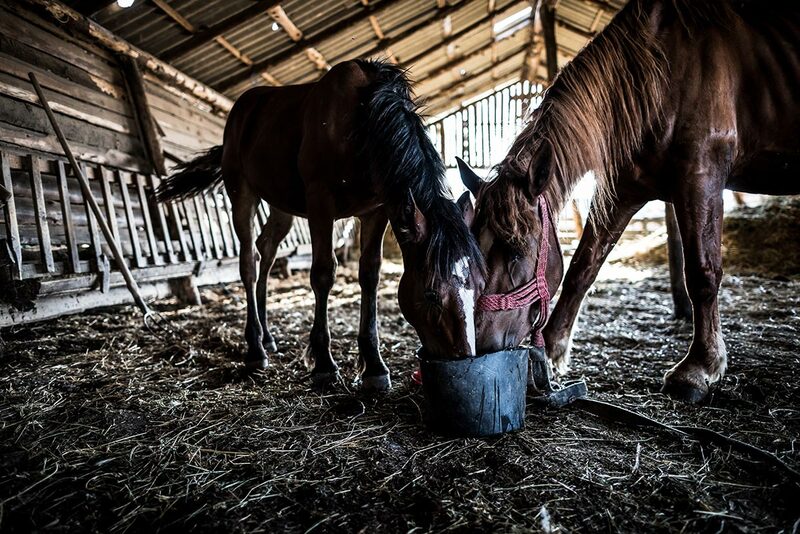 An undertaking to check the general health of each horse daily. Based upon these facts, the Tribunal decided that the Vigne’s livery business was not “wholly or mainly” that of “holding investments”. Therefore the business including the value of the land (about 30 acres valued at about £300,000) qualified for Business Property Relief. It is pleasing to note that the Tribunal specifically rejected HMRC’s approach which attempted to compartmentalise the activities associated with the land, so that they should be characterised as either general maintenance of an investment or referable to the business of keeping horses at livery (a trading activity). By attempting to persuade the Tribunal to adopt this approach, HMRC were seeking to demonstrate that the value of the provision of land, as an investment, predominated, so that Business Property Relief would not be due. The Tribunal therefore decided that, based upon the facts in this case, that the provision of enhanced livery providing a level of valuable services to the various horse owners, albeit, perhaps, stopping short of part livery, prevented the business being mainly one of holding investments. Therefore the taxpayer was successful in arguing that Business Property Relief was due. Landowners with livery businesses should consider the facts in this case carefully and compare them to their own business activities to assist in deciding whether any action is needed to assist making a successful claim for Business Property Relief.